Everybody has a diamond in them but its all depends on d individual how he/she wants to place his/her self for people to see d diamond. Now Lurd Adex has decided to unleash d diamond in him through music with his “Crew” dat he has been planning to raise up featuring a top artist along side with him .Plexgrin who is multi talented and bless when its comes to aspect of singing. 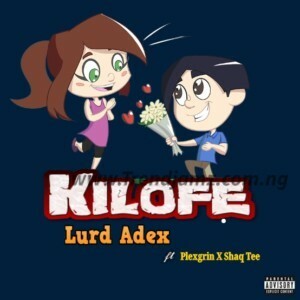 Listen to Lurd Adex & His Crew Ft. Plexgrin “Kilofe” and feel d diamond inside of d great minded ones…Enjoy!!! !